Grand Junction Therapist: Kevin Edwards - Therapist 81505. 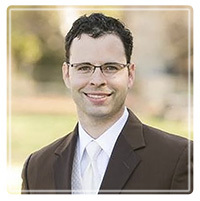 Kevin holds a Master of Science (MS) in Clinical Mental Health Counseling from Walden University (CACREP Accredited) and a Bachelor of Arts (BA) in Psychology from the University of Arkansas – Fort Smith. He is currently a Licensed Professional Counselor Candidate (LPCC). Kevin holds over 7 years of experience working in the mental health field in a vast array of settings including Alzheimer’s care, youth and family counseling and rehabilitation, schools, children’s psychiatric hospitals, youth residential units, and clinical counseling centers. Kevin completed his internship at The Antioch Group, Inc, a well-established and multi-specialty contemporary Christian counseling clinic in Peoria, IL, under the professional supervision and Christian mentorship of Dr. Steven Hamon – Licensed Clinical Psychologist. Within these settings, Kevin has worked with a vast array of clients struggling with anger, abandonment, grief, physical and/or sexual abuse, depression, anxiety, bipolar disorders, obsessive compulsive disorders,self-esteem issues, and many other challenges. His current focus is grief counseling, OCD, and anxiety and depression in older adults. Kevin’s Dad states that the inspiration for his song came from Hebrews 6:19 that states, “We have this hope as an anchor for the soul, firm and secure…” Kevin likes to use the analogy of ships on rough waters to represent people who are experiencing challenging times in their lives. Just as a ship needs an anchor to secure it during a storm, people need Jesus, the Anchor of Hope, to hold them during the storms of life. Kevin’s prayer is that he is a vessel the Lord will use to change lives through the healing ministry of counseling. Kevin recently celebrated his 5th anniversary with his wife. They are blessed with two beautiful daughters. He and his wife enjoy singing together at church, spending time at the park with their daughter, and being entertained by their dog Johnny, a handsome Springerdoodle. Kevin loves serving the Lord and being a husband and proud father.